Amish Tricycles and Tricycle Trailers are a perennial favorite for parents and children looking for a durable, American-made tricycle. Our three lines of Amish-built tricycles from Valley Road, Speedway Express and Hochstetler Welding are the "monster trucks" of the tricycle world, and kids cannot get enough of them. Add a tricycle trailer, and they become altogether irresistable to the younger set! Adult-sized tricycles so the "big kids" do not get left out! 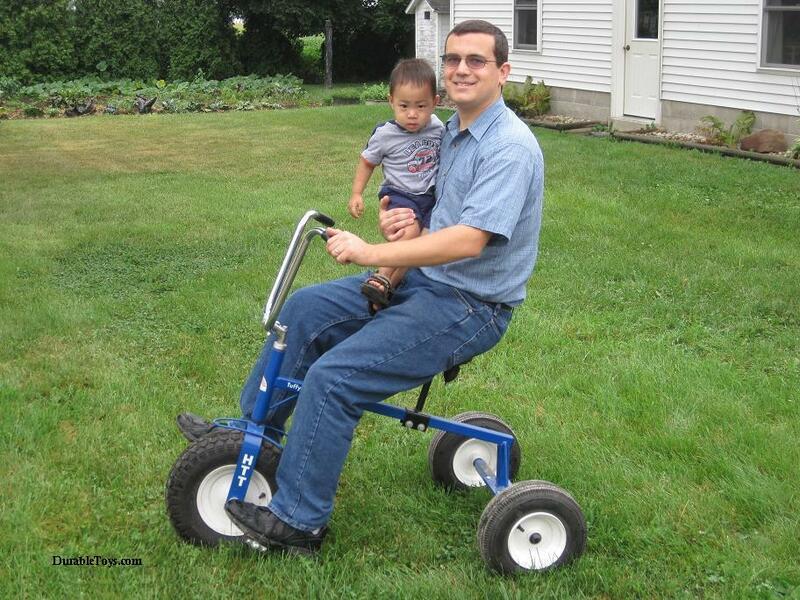 See the picture on the right for an example of an adult-sized Hochstetler Amish trike.